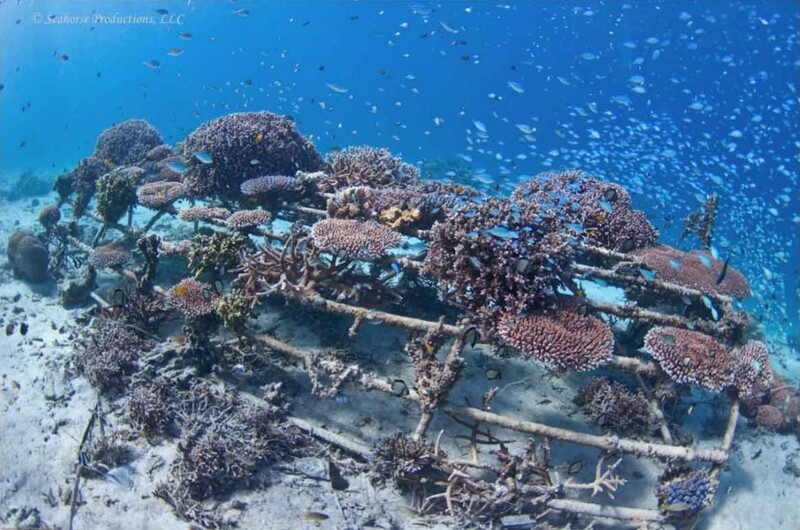 Pemuteran is home to the largest artificial Biorock reef project in the world and there is a real spirit of marine conservation effort in this area. This village, a small and laid back area in Bali, has become increasingly popular for tourists in recent years.Visitors of the village normally comes from the north coast area of Lovina and Singaraja or from the western area of Gilimanuk. Its increasing popularity as a touristic destination, along with the extreme natural beauty of Lovina and West Bali National Park, has fuelled quite a rapid growth in tourism sector in the area as evident in the numerous waterfront resorts operating in the vicinity. Getting to Pemuteran can be done via regular bemos and really old rattletrap busses ply the north coast road. But both means of transportation can be extremely slow and crowded. Hail them from roadside and haggle over the price if you are a foreigner. You will see a lot of locals pay just pennies. Tell the driver you want to get off at Pemuteran town center since there is a minimal signage or landmarks to direct you to the area. Then walk down any ‘gang’ through the fields and past posh resorts to the coast. Pemuteran used to be a fishermen village with very dry climate. Around the late 90s when there were a global recession, Indonesian political chaos, and climate disasters of La nina and El Nino made the life for majority of Indonesian very tough even just to survive. During this tough economic situation, fisherman resorted to using dynamite and cyanide for fishing to increase their productivity. 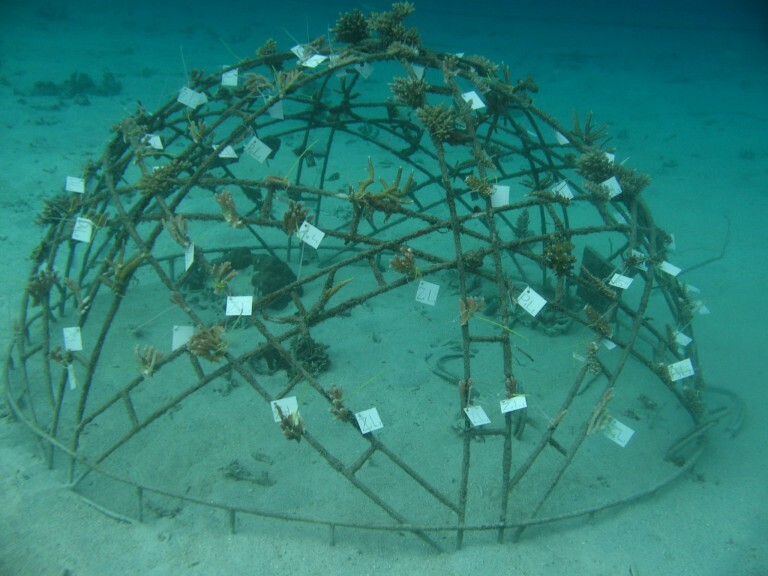 This fishing method quickly obliterated both the fish and the corals resulting to badly damaged reefs and empty underwater flora and fauna. The Inventor of Biorock, Prof. Wolf Hilberts and Dr. Tom Goreau presented to Mr. Yos Amerta, the owner of a diving company in Pemuteran and consequently with Mr. Agung Prana, provider of tourists’ accommodation in the area, to introduce the Biorock technology. 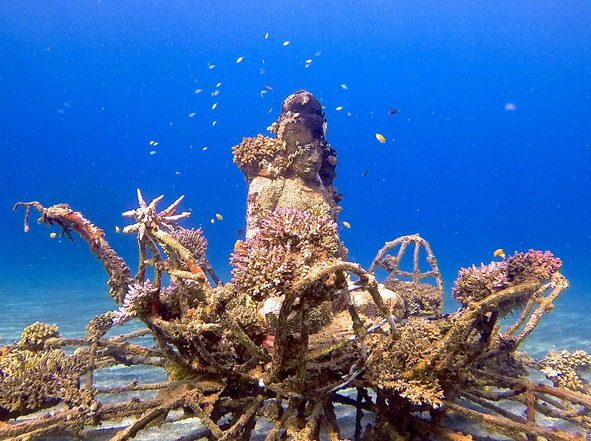 Both businessmen were ready to support the initiative and believed that Biorock(R) could restore corals in Pemuteran. When it was first applied, there was a vehement rejection from the local fishermen because they were forbidden to use bomb and cyanide for fishing. Receiving a death threat was even very common for Mr. Agung Prana during that time. Mr. Agung Prana then set up a foundation named Yayasan Karang Lestari (means Coral Protection Foundation) and collaborated with Village and Cultural Security (called Pecalang) to implement a coral protection program. The Pecalang provided land based security and another group called Pecalang Segara (or Ocean Protector) to guard the ocean. 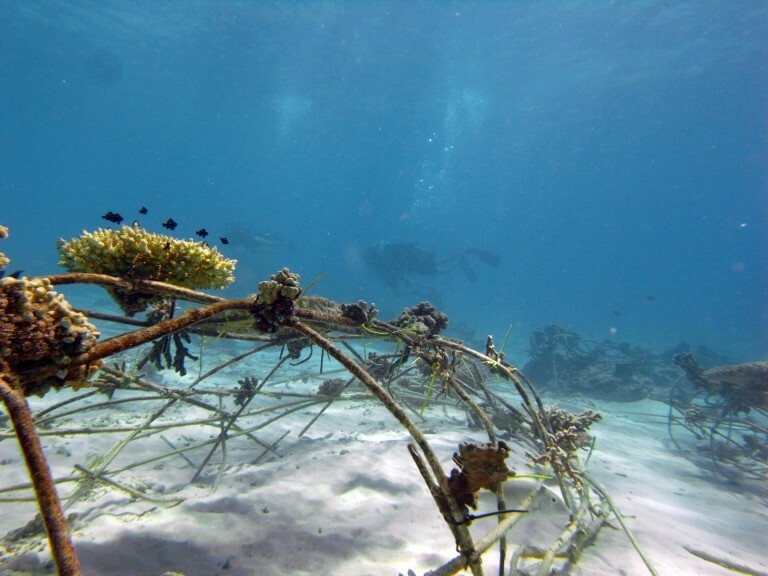 Even though the village has settled the issue on destructive fishing, the campaign and effort must be continued to bring awareness to the locals and stakeholders the coral reefs. Yayasan Karang Lestari, with support from Taman Sari Bali Resort and Spa and Amerta Bali Villas, are working together with Balinese and Indonesian Musician to hold concerts and festivals in Bali area to promote the importance of saving the coral reefs. 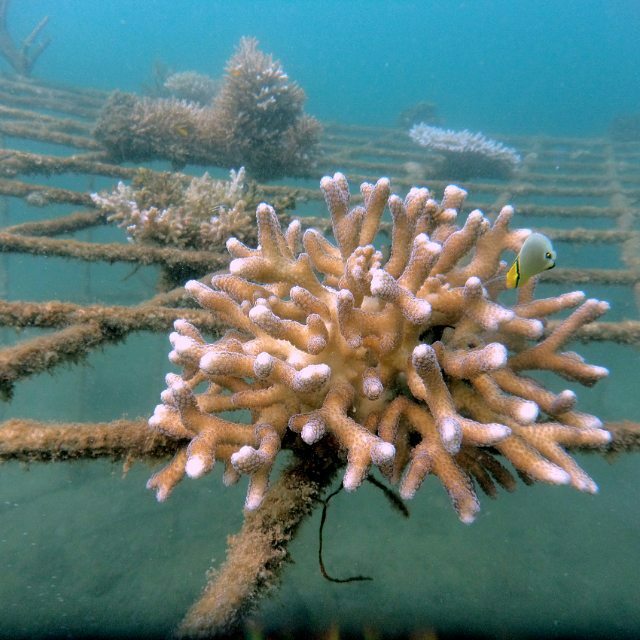 The Pemuteran’s Coral Reef Rehabilitation project remains the biggest project using Biorock technology with more than 115 Biorock structures already installed at the bottom its sea. The success of this project is attributed to the community’s participation and involvement. By working together, they achieve their goals by creating a healthy marine ecosystem as a great investment for the future generation. Dr. Suadi from Gadjah Mada University researched on projects in Pemuteran and has estimated an economic yield value of US$ 115,158/year (equal to 1,532 Billion rupiah) with 70% of participation rate of villagers in the project. This project has Internationally awarded by receiving 2012 UNDP Equator Prize, and 2nd runner up of 2015 UNWTO.